I recently came across this research paper on putting that was on the AimPoint Golf Web site (www.aimpointgolf.com). Be warned that it reads like…a research paper. So lots of quoting of other papers and books, lots of descriptions into how the study was executed and less ‘user friendly’ verbiage. - As we know, the putterface is more important than the path. They determine that Dave Pelz was pretty much correct in saying that the ball’s initial direction is 83% due to the face and 17% to the path. - Of the golfer’s studied the variation in their path from stroke to stroke was greater than their variation in the face angle at impact. This surprised me because in the full swing, usually it’s the exact opposite…a golfer’s clubhead path will be very consistently the same while their face angle can be all over the place from shot to shot. - They studied only right handed golfers and the tendency was for them to aim left at address with the putter. The Tour players averaged about 1* left of the target. - Here’s a big one, the golfers tested claimed that they *felt* that the mallet putters were easier to aim. HOWEVER, the golfers actually aimed the ‘blade putters’ (i.e. Ping Anser, Ping Zing 2, etc) better. This is because the mallets had big alignment lines and other gadgets like the 2-ball mallet that made it feel like it was easier to aim, but the reality was that they aimed the ‘normal’ style putter better. - Obviously, there was a correlation between a player’s handicap and their ability to hit putts from 40 feet away close. So it was likely that a player with a 5 handicap would hit 40 footers closer to the cup on average than a player with a 10 handicap. - Therefore the ‘straight back-straight thru’ stroke (which really doesn’t exist anyway), is considered not optimal. - Obviously, the optimal ‘face change’ was 0*. Optimally you would like to aim dead at the target (0*) and then return that putterface right back to 0* at impact. - Small ‘face change’ is okay, but keep it to about 1.5*. I remember that Loren Roberts’ SAM Puttlab report shows a golfer with a 2* closed face at address who then manages to open the blade to 0* at impact. This tells me that while Roberts’ putting stroke looks nice, it’s very compensation oriented putting stroke. - Downswing time is best at the 270 to 370 millisecond range. The golfers they tested that were out of this range were usually too slow, so a too fast of a downswing usually isn’t the problem. - Elite players (Tour pros) tend to aim 1* left at address and then open the blade to about 0.4* left at impact. - They felt that their research showed that more golfers could greatly improve with a heavier putter shaft. - They strongly feel that green reading is much more important than technique when it comes to having a good speed/touch on a putt. Overall it was a pretty interesting read once you could siphon thru the typical research paper stuff. My two complaints are that I wish the sample size was bigger and I question some of the books and research they reference. Still, there’s a lot of interesting things going on here. Particularly with their study of the mallets which helps explain why they continue to grow in popularity. The heavier putter shaft theory is intriguing as well. 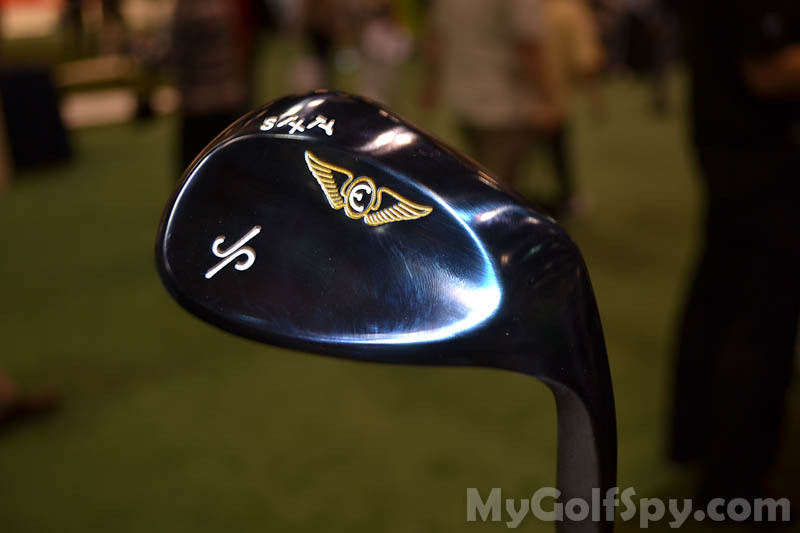 While I was at the 2011 PGA Merchandise show, one of the things I came across was Edel Golf’s (www.edelgolf.com) new line of wedges. The wedges piqued my interest when I found that they had a wedge fitting system because I was extremely impressed with Edel Golf’s putter fitting system which not only fitted the putter for your aim, but also fitted your stroke by finding the best weight and putter shaft for you. Unfortunately, I assumed that the wedges would be on their Web site after the show and when they were not, I had a lot of my readers asking me about the Edel Wedges and I didn’t have any answer for them. One of the issues I’ve had with equipment fitting is in particular wedge fitting. Most wedge fitting sorta assumes that the golfer knows whether or not they are a digger (big divots) or sweeper (little divots) or somewhere in between. Then they give the golfer a wedge and the golfer has to try and figure out whether or not they like the feel. If they don’t, then they hand them another wedge. It’s almost like going to the optometrist to get fitted for glasses where they say ‘is this better than the last one’ and after awhile you’re so confused that you really don’t think it matters. Particularly for higher handicap golfers who are not as in tune with their feel for clubs as lower handicappers and professionals are. So I talked about this with the Director of Sales and Product Development, Bobby Dean and here’s what he had to say. Part of the main concept is each fitter goes thru detailed training and they’ll spend about the first few minutes working with the player’s wedge swing because they find that many golfers typically will ‘back up out of it’ with the wedge which will distort the wedge that would truly work best for their swing and produce the best results. It’s not looking to change anybody’s full swing, but if you’re a digger with your irons then they don’t want you to take a different swing with the wedge that may turn you into a sweeper with just the wedges. This is something that I like the idea behind because the problem I find with most clubfitters is that they know so little about the golf swing that they cannot assist the golfer and then the golfer winds up with a club that is fit for a lousy golf swing. After that, the fitters are trained to figure out what wedge works best for you from the fairway, deep rough and sand. From what I understand, if you’re working with a fitter in Oregon where the turf is softer, they can fit the wedges according to what you would need if you play in the state of Oregon. But if you’re working with a fitter in Texas, where hardpan is prevalent, the same fitting would apply but the fitter would be able to fit you based on what those Texas conditions require. Another feature is that Edel Golf will have a wedge fitting cart, much like the ones you see at golf stores (like the above picture). They are attachable shafts and heads, much like the Titliest and Mizuno fitting carts. So when the golfer is trying out a wedge, they can interchange different shafts, heads and grinds to figure what they like better and the fitter can see what works best for them. The wedges will range from 50* in loft to 62*. There’s almost pretty much complete customization such as the finish on the clubhead, paintfills, stamping, etc. Furthermore, they will have forged heads or cast heads available. I would assume that the cast heads are cheaper. Also, the percussion center is more in the middle of the club instead of leaning towards the heel. The expected launch date of this is May or June of this year. Overall, I like what I hear as not only are there a lot of options, but the fitting cart is a very big benefit. One top 100 instructor who was trained on fitting openly stated that after being trained of fitting by Edel, they realized that they had been fitting wedges incorrectly for a long time. I’d still like to see a company say something along the lines of ‘if your attack angle with a SW is -6* or more, then all things being equal you are a digger. Or if your SW attack angle is -2* or less, all things being equal you are a sweeper. We will then take into consideration the surface you usually play on and then determine what wedge fits you.’ But either way, the wedge fitting ‘bar’ is about to be raised and when that happens, other companies will start to follow suit and come up with their own ideas as to how to best fit the golfer. Here's a video of part I of a clinic that friends of the 3Jack blog, Sevam1 and Steve Elkington, put on in California. A lot of it the loyal readers have seen before. I plan on doing a small little special on golf shoes in about 1-2 weeks. Stay tuned. 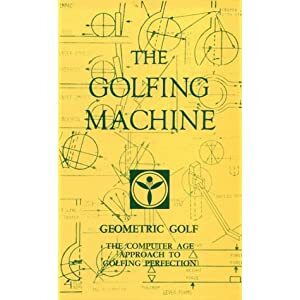 In my opinion, the greatest attribute of Homer Kelley’s book, ‘The Golfing Machine’ was how Homer Kelley laid out *how* a golfer can best learn to develop an effective and efficient golf swing. Certainly, The Golfing Machine is not infallible. However, it really does not make a difference whatever scientific study on the swing is infallible or is more infallible than TGM if there’s no real path for the golfer to learn that study. THAT is really what TGM is about for me. Remember, Homer Kelley wrote guides and manuals for Boeing for years. Imagine him writing a manual for some type of machinery and just discussing the inner parts of the machine. Nobody would care. Instead, he had to set forth a way for the reader to apply what he’s written. Unfortunately, too many TGM critics completely overlook this and get bogged down into the jargon and format of the book along of whether the science is right or wrong. Let me be clear, I think ‘getting the science right’ is important…but it’s useless if we can’t figure out a way to apply it and learn from it. For my money, Kelley’s most brilliant concept in the book was ‘learning feel from mechanics.’ Why? Because pretty much every athletic endeavor teaches ‘learning mechanics from feel’ and Mr. Kelley figured out that ‘hey, these feels everybody talks about are subjective.’ So whether it’s baseball, basketball, hockey, football, etc…they also teach ‘mechanics from feel’ and have done so for over 100 years and continue to do so today. That’s basic ‘learning mechanics from feel.’ Essentially it’s a ‘if you feel this, that will put you in the correct mechanics’ type of instruction. And like I’ve said, a feel that may work for Stricker may very well not work for me. And I think most people would agree with me that these feels tend to ‘wear off’ after awhile. A feel that was working well for me in June may stop working for me in August. It’s not that feels are unimportant. Far from that. The feel will allow the golfer to repeat the mechanics they want time after time. It’s just that a golfer needs to really understand *how* to feel and how to learn the swing in order to get that feel that will work best for them. Compensations are more or less moves the golfer attempts to make in order to get the swing ‘back on track.’ For instance, if a golfer gets their backswing off plane, then they will have to make a compensation or a series of compensations in order to get their downswing back on plane. Not all compensations are bad. For instance, take a look at Jim Furyk’s compensation filled golf swing. According to Trackman, Furyk is the golfer whose clubpath and clubface are the most consistently closest to 0* to the target on the PGA Tour of everybody they have measured. Thus, not all compensations are bad. But where compensations are troubling is that they require the golfer to be able to use their timing and their hand-eye coordination to ‘get back on track.’ Some golfers like Furyk and Miller Barber can make those major compensations and hit it great, time after time. But most cannot. The good instructors figure out what compensations are causing problems and what compensations are not an issue. The ‘method teachers’ will just tell you to change every compensation because it doesn’t fit into their method. The pitfall that some golfers fall into is that they will start believing that because somebody like Furyk can make a ton of compensations and hit it well, then they should be able to make a ton of compensations and hit it well because those compensations are part of their ‘natural golf swing.’ I find this notion to be horribly flawed because I would think our ‘natural golf swing’ would be the one we have the first day we ever swing a golf club. But over time we started to figure some things out, took some lessons and hopefully got better. Again, the key is to assess the compensations and figure which ones are ‘okay’ and which ones need to be eliminated. Often times compensations occur when a golfer ‘gets off track’, makes a compensation to get back on track and then is rewarded with a good shot for that compensation. Again, that’s fine if the golfer can do that over and over again. However, if the golfer cannot make that compensation time after time or it runs the risk of hitting a bad shot that will kill you, particularly on crucial swings, it’s probably time to eliminate that compensation from your swing. For example, let’s say on the backswing you have a very open clubface. In order to ‘get back on track’, you try to really ‘turn the hands over’ thru impact in order to square up the clubface at impact. That would be the compensation. After years of swinging the club this way, you start to get pretty good at making this compensation for the open clubface at the top of the golf swing. But, every once in awhile you hit some dreaded snap hooks, particularly when the shot becomes more important. When you first started playing with that open clubface in the backswing, you probably hit blocks and slices. But once you started to actively turn your wrists over thru impact, you started to get rewarded with good golf shots more often. Now if the golfer makes that compensation they will not be ‘rewarded’ with a good shot. That’s because the face should be square or closed in the backswing, so if the golfer compensates by turning the wrists over, they’ll have a closed clubface and hit a smothered hook. As I’ve discussed many times before, I consider the video camera as the ‘15th Club.’ For the most part, we usually get new golf clubs with the thought that the new equipment will make us better. Well, a camera will cost less than a new driver, a new set of irons and less than a lot of new putters. Yet, I firmly believe that a camera will help your game more than these clubs and will allow the golfer to use these clubs more towards their potential. I currently own a Casio EX-FH20, which cost me $240 for everything brand new. I haven’t drawn a line on a software program with my swing in over 2 years. I really don’t need to. Instead, I used the camera for checkups on my swing, making sure nothing gets out of hand because I’d rather fix problems right away instead of neglecting them only to have to make a major overhaul down the road. From there, I can utilize the camera as my ‘teacher’ to get me into the right mechanics and I can then ‘learn feel from mechanics.’ Then it just becomes a game of using that feel which will allow me to correct those mechanics. Here's a video somebody sent me last week, with Jim McLean explaining the new ball flight laws. D-Plane will be readily accepted and teachers will act like they always knew about it, when they didn’t. So when there's a great demand for understanding D-Plane and then launch monitors like Trackman and physicists like Dr. Robert Grober confirm the validity of D-Plane, the PGA just can't stick with those old ball flight laws anymore. Which brings me to the PGA Teaching Summit in Orlando this past January where I was told (I wasn't there) that Dr. Gary Wiren...the main dude of PGA Instruction...went on the offensive with regards to people calling him out about getting the ball flight laws incorrect in 1991 in the PGA Teaching Manual. From the sounds of it, Wiren had some good points, but others pointed out that parts of what was in the manual were ambiguous and could easily be interpreted as saying initial direction of the ball is due to the path (and not the clubface angle at impact). 2) He HAD TO HAVE KNOWN that PGA instructors had them wrong and did nothing about it. I take more umbrage with somebody like Wiren than Joe Schmoe the PGA Instructor or Jack Schmoe the top 50 teacher claiming they knew D-Plane all along when they didn't because Wiren is pretty much 'THE GUY' of the PGA Instruction. As far as McLean goes, I have no idea whether or not he has been teaching D-Plane (the correct ball flight laws) all along or not. I will say that I have his 8-step swing book and he never mentions (at least I didn't see it when I just re-read it a week ago) what causes the initial direction or curvature of the ball. However, that doesn't mean that he's lying. It's just not in his book, so there's no way to tell if he's lying or telling the truth. Since I have no relationship with McLean, I'm not going to call him a liar and I'll take his word for it. Nothing personal against Mr. Case as I believe he probably basing his instruction off of what he learned from the PGA. But this type of instruction of how to hit a draw flies in the face of D-Plane. As we know, with *relation to the target*, a golfer can EASILY hit a perfect draw with an open clubface at impact. As long as their path is directed further out to the right than where their clubface is pointing at impact, it will impart draw spin on the ball. So to ask for the golfer to 'turn the clubface over' simply is not necessary because what matters is getting the path further out to the right than the clubface at impact. Furthermore, you're asking for the golfer to use their hand-eye coordination and timing to get the clubface in the perfect position by using your hands to turn over the clubface. Turn them too much, smother-hook. Not enough and you can hit a block. But, if they are teaching a golfer to hit a draw by crossing their arms over like the video above, they essentially have *memorized* the laws of ball flight (D-Plane), but do not understand how to apply the laws of ball flight to their students. And THAT is what D-Plane is all about. My latest post on ‘Why Musclebacks' received positive reviews and I got some readers asking me to do something with regards to putters. I haven’t followed putters as closely, but I’ve been around the block and discussed some things with experts like David Edel, Dave Orr, Geoff Mangum and others. I started to play the game in 1986. One thing to understand about my personality and the type of child I was, I got into sports at a very early age. And not only would I play sports, I would read constantly about them. And I mean at age 5 I was reading box scores, reading almanacs, etc. Even though I was barely learning how to read, I was reading and studying these things and my parents thought it was a good way to develop reading and math skills. So even though I didn’t get into the game until 1986, I would read all I could about the game of golf, including equipment. But, 1986 coincidentally was an important year with regards to the change in putter design. As you can see, very much different from the types of putters we see today. What drew attention to the putter, besides the boxy design, was the sound that it would make when the ball was struck. It almost sounded like somebody striking a tuning fork. That man was Karsten Solheim and because of that sound, his company got the name PING. Believe it or not, this putter still had plenty of detractors because it was still considered ‘UGLY looking!’ However, this putter was designed to take out that annoying PING sound and its design was becoming more and more popular. It’s important to take note of the Ram Zebra because if you look at the other putters I’ve already shown…there are either no alignment lines or very few alignment lines. But the Ram Zebra has 10 lines total (9 black and 1 white). The picture of the Ram Zebra above is actually a little later model. This later model which was developed in the early 90’s, had an adjustable weight design. Underneath the bottom plate was where the weights were stored and the weights were a bunch of washers. And the golfer, if they wanted to, could unscrew the bottom plate, and add or subtract washers depending on what they wanted the weight of the putter to feel like. To my knowledge, it was the first putter to do this and really was way ahead of its time. Edel Putters have a Vari-Weight design and one large advantage they have is that you can do it with any type of putter design whereas the Ram Zebra is just a mallet putter. In 1986, 46 year old Jack Nicklaus won the Masters. He did it with a very hot putter on the back 9 on Sunday. That putter was interesting because Nicklaus rarely changed clubs and almost always used his trusty George Low putter. But this time he used this giant, black putter to win the green jacket, called the Macgregor ZT Response. Augusta is really fascinating from an equipment perspective because all of the advertising and demo days in the world can’t quite sell a product like Augusta can. After Nicklaus won the Masters, the ZT Response putter was the must have club for any golfer and sales skyrocketed beyond belief. But other clubs over time have responded like the ZT Response. I remember when Jumbo Ozaki was hitting unbelievably long drivers with the Bridgestone J’s driver and it then became the driver of choice (horrible driver clubhead, but a great shaft. Had a friend that I convinced to keep the shaft and dump the clubhead and he put it on a bunch of his other drivers and had it for years and years). There was also the SeeMore putters which Zach Johnson’s victory resurrected the putter from the dead. I suspect that if the Taylor Made R11 wins, particularly with somebody who hits it deep like Dustin Johnson, it would be a major coup for Taylor Made because the club is so identifiable. In fact, if I were a club company, I would try to make an identifiable driver or putter going into Augusta every year and try to convince my top players under contract to use it. Augusta wields that much influence. With that, by 1986 we start to see the overall picture of putters and we can see where today’s putters come from. With the Anser like putter becoming more popular, Ram’s alignment lines, and the oversized putters like the ZT Response. He also did some different things like making putters from Beryllium Copper, which was softer and black oxide which had a nice look to it. Also remember, the original Ping putter grip is still extremely popular to this day and has been copied many times over. And Karsten started making putters with the same head designs, but different hosels. I think he had the idea that some golfers aim better with different types of hosels, but he just couldn’t figure out a way to mass produce putters and figure out what putters would fit certain golfer’s eyes. And to think about it, when it comes to ‘normal’ putter design these days, there is almost NO deviation from putters that PING designed years and years ago. Karsten’s putter designs may be the piece of golf equipment that was the most ahead of its time than any other piece of equipment in the history of golf. The next big step in putter design in the 90’s dealt with making the putter feel better. This is where all of that ‘precision milled’ putters and inserts came in. As far as milling goes, Scotty Cameron was the first putter that *I* remember using the precision milling process with his putters. At the time I was first introduced to Cameron putters, he was working with Mizuno. In reality, Cameron was probably a little too far ahead of his time because balata golf balls were still being used and thus, the putter was really soft. Now with the golf balls much harder, if you were to use an old Ping Anser putter from 1987, it would feel like you are putting a rock. And again, the Odyssey Rossie putter didn’t really take off until Nick Faldo made his come from behind victory for his 3rd Masters Green Jacket, 10 years after Nicklaus’ historic win with the MacGregor ZT Response putter. In fact, he designed his own 3-ball putter, which failed. The idea behind the 3-ball was that it would help golfers aim the putter better. Eventually Odyssey signed Pelz on to help consult and design their putters and the Odyssey 2-ball was born. From the 2-ball putter, the advancements were more along the lines of using Face Balanced putters more and more and having some wacky designs that are supposed to be able to get the golfer to aim better and some ‘high MOI’ putters which make it so the ball will not roll off line so much on a poorly struck putt. There was also the development of putter grooves to help reduce skid on putt. Companies like Yes! (bought out by Adams Golf), Taylor Made, Rife, Bettinardi and Nike have their own line of putters with grooves on them. I’m not willing to say people putted better pre-1986 than they do today. We know a lot more about putting these days, the equipment helps horrible putters become not-so-horrible and the greens roll a lot smoother today. From discussing this with people like David Edel, I believe that the biases are in part due to eye dominance. If you read the GOLF Magazine book ‘The Greatest Putting Instruction Book Ever’, Edel goes into things that cause a golfer to aim right or left of the hole. In short, it has to do with what part of the putter head they are using to aim the putter. The further up towards the ball, the more the golfer will likely aim right of the target. The more of the back of the putterhead that is used to aim, the more likely they will aim left. So with left eye dominance, the golfer naturally use the front part of the blade. Since most right handed people are right eye dominant, that’s why about 25% in Orr’s study were aiming right. And not by coincidence, I am right handed and left eye dominant and have a right aim-bias. With right eye dominance, the golfer will naturally use more of the back of the putterhead to aim which correlates more towards a left aim bias, which is why the majority of the golfers in Orr’s study do indeed aim left of the target. If there’s one thing I feel safe in saying is that I do not believe golfers of today are aiming any better. In fact, I think they may be aiming worse. Popular putter designs do not fit most golfer’s aiming tendencies. The Odyssey 2-ball putter is a great example. Its design actually promotes a left aim bias. It’s also one of the most popular putters out there. So in a world where most golfers will aim left of the target, a left aim bias putter doesn’t help. OTOH, something like the 8802 or the Anser with no alignment lines or sight dots will help golfers aim more to the right. You could also take the Scotty Cameron putters which has more loft (4*) and that promotes the golfer aiming left. 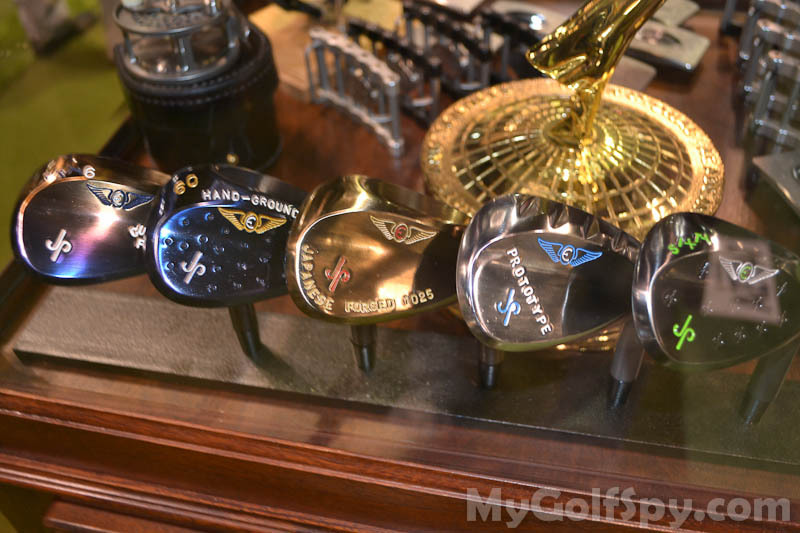 Or the Taylor Made Spider putters with so many shapes and lines that it is just like to confuse the golfer. I’ve been asked the question ‘why would anybody want to hit a muscleback blade iron over a cavity back?’ quite often. And recently I’ve seen this question posted on other forums as well. Unfortunately, what we are seeing is less and less OEM’s making muscleback blades. Cleveland Golf makes a muscleback blade set with their new CGTour line, but it does not offer a muscleback option with the 3, 4 and 5-irons. Ping has never offered a true, muscleback blade (to my knowledge) and newer OEM’s like Tour Edge, Boccieri, Fourteen Golf, etc. do not offer a true muscleback blade option either. I discussed this with Bobby Siravo (www.ifitgolf.com) at the PGA Merchandise Show. The reason for the decline in muscleback blade production is that they simply do not sell well. But I believe that they do not sell well because the marketing and advertising of the products is piss poor. The main idea is that with the cavity back, the mass behind the sweetspot is taken out so the toe and the heel will have more mass and thus making the club more forgiving. This would also get the Center of Gravity of the club lower on the face, so the golfer can more easily hit the ball higher in the air. With the muscleback blade, the most amount of mass is right behind the clubhead. From my experience, cavity back didn’t start to become big until the Ping Eye 2 came out in the early 1980’s. And then the popularity really increased when the Tommy Armou 845s came out in 1988. The 845s were popular because the Ping Eye 2’s looked almost like a plastic children’s club whereas the 845’s, which still had a lot of offset (although progressive offset), looked more normal. And to help matters, they wound up signing popular golf Fred Couples to a large endorsement deal. Back then, all cavity backs had a lot of offset and were cast irons, made from stainless steel. So the judgement from the general public back then was still that cavity backs, which had that large amount of offset, were still meant more towards the hacker because that offset would help the golfer get the club up in the air. That being said, there were more and more PGA Tour players using the Ping Eye 2 and Tommy Armour 845s. One of the other concepts was the differences in feel. Back then, forged felt much softer than cast because the cast clubs were made from a much harder steel, usually something like 17-4 stainless steel. Whereas forged would be made from much softer steel like 1020, 1025 or 1030 carbon steel. And back then, there were NO forged cavity backs. That didn’t happen until, ironically, Hogan came out with the forged Hogan Edge cavity back irons. So back in the 80’s, musclebacks were the clubs of choice for more of the single digit handicappers and better because the perception of cavity backs were that they were more meant for the hacker and at that time they didn’t feel as good because the steel was harder. What’s ironic about Hogan Company is that they were pretty much THE muscleback iron maker for roughly 3 decades. They were then the first company to come out with the forged cavity back which was well ahead of its time, but seemed to have led to their demise as well. Once the forged cavity back was made, then cavity backs no longer had that disadvantage of not feeling as good as the muscleback blade. Then the Titleist 962 irons came along. Titleist actually made some regular DCI cavity back irons which had more popularity with the higher handicap players. But once the 962 was born, their iron sales took off. They then made a really nice looking titanium driver that looked more like a classic driver than the other titanium drivers. Then they added Foot-Joy, Scotty Cameron and Vokey and they are the company that you see today. But back in 1988, they were just the main golf ball company and that’s it. Once those 962’s came along (particularly the smaller version 962B irons), we started to see cavity backs that followed that design of a smaller offset and a more classic design. Thus, between the Hogan Edge’s and the 962’s, now we had cavity backs that could offer a classic design or a forged feel. And eventually that led into today’s ‘player cavity backs’ which have a forged feel and more of a classic design. As cavity back progressed, muscleback made changes as well. The muscleback irons of the 60’s and 70’s have very long hosels. In fact, my 1963 Hogan IPT’s have a 3” hosel. This hosel would also move the sweetspot up higher on the clubface and more towards the heel. Many people who have seen the personal clubs that Ben Hogan used have often remarked how there’s a spot on the club where the club is worn down, but it’s towards the heel of the club. Some people have made the erroneous claim that Hogan hit ‘heel cuts.’ But the reality is that he hit it flush, time after time, because the sweetspot of those irons was towards the heel. As an owner of four different sets of irons that have the long necks, I can assure you that the sweetspot is much more towards the heel. Because of that higher CoG on the clubhead, they made the lofts weaker because the ball would launch too low with today’s modern lofts. But eventually the cavity backs were designed so the CoG was so low that the OEM’s then strengthened the lofts. This helped the ball travel further and eventually OEM’s started doing similar things with the muscleback blades. What happened with today’s muscleback blades is they shortened the hosel and got the sweetspot more in the center of the clubhead and down lower on the face. 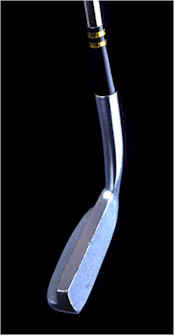 This not only helped golfers get the ball up in the air easier, but it also made the current day blades more forgiving. Back in the 80’s, the worst thing you could do was mis-hit a muscleback blade on the toe of the club. Now the golfer can mis-hit the ball on the toe or the heel and still hit a reasonably decent shot. This changing in the CoG’s also made forced OEM’s to lower the lofts of the clubs so they wouldn’t go too high. For instance, the ’88 Apex Redlines had a PW loft of 50*. Most of today’s PW’s with muscleback blades have a loft of 47 or 48*. What’s even crazier is that many of today’s cavity back irons have PW lofts of 45* and some go as strong as 43*! That question still remains. Hopefully my answers will help the reader better understand why somebody may want to go to muscleback irons. The common thing I hear about musclebacks is that ‘they are easier to work the ball with.’ I used to believe that as well, but I’m not so sure that’s really true. But this is much like the D-Plane talk when you hear PGA Tour pro Joe Schmoe tell the audience how they work the ball based off the ‘old’ ball flight laws, which are incorrect. The fact is that very few PGA Tour pros truly work the ball these days. For starters, most of them hit it almost dead straight. A ‘fade player’ or a ‘draw player’ on the PGA Tour will look almost dead straight to the average amateur when watching them in person. And the PGA Tour players who do have a noticeable bend in their shots usually will never try to work the ball even if the hole calls for it. So if Rocco Mediate, who hits a sizeable draw, gets on a hole where it’s a pretty sharp dogleg right…he’s not going to try and hit a fade. He’s still going to hit his big draw. It’s much like the power, pull hitter in baseball who has the opposite side of the field wide open as the defense makes their shift. They will still try to pull the ball because that’s what they do best. And Rocco will try and hit the draw because that’s what he does best. So the ‘working the ball’ talk is usually overblown. And I think it’s harder to work the ball these days anyway because the ball just seems to fly straighter these days. I believe that there are three fundamentals of the golf swing. Let’s take a look at a pic I have of a CB Titleist 962 and a MB Bridgestone J33. I believe that hitting the golf ball is a *skill. * And when you don’t test your skills regularly, they start to erode until you sharpen them up again. The clubface can be responsible for a lot of things that happen with a golf shot. A major one of them being sweetspot contact. Close your clubface and now you’re more likely to hit the ball off the toe of the club. But with perimeter weighting, you are more likely to get away with that toe hit and even WORSE, not feel it so bad. Again, that’s a BAD thing for those looking to improve their golf swing because you cannot learn if you don’t feedback. When you don’t get feedback, you’ll just keep doing the wrong things. Same with clubhead path. Particularly if you have a very inside-to-out clubhead path which is often caused when the golfer gets the handle too high at impact. That high handle means that the golfer has the club at a higher lie angle than the club was designed to have, thus they hit it off the toe. But you will not feel that as badly if you have perimeter weighting. The sole of the Titleist 962 is much thicker. This is done so if the golfer catches it a little fat, they can still get the clubhead thru the ball. Also, with the Center of Gravity of the Titleist being lower, the ball gets up in the air easier. So a golfer can hit it thin and still get it up in the air well. However, this does not test the precision of the golfer’s low point. So over time the golfer is more likely to keep hitting it fat and/or thin because their low point control has eroded. Then the cavity backs are often designed to make them go further with their low CoG and super strong lofts, so the golfer doesn’t need to have a swing that actually generates a lot of clubhead speed and instead can ‘let the club do all of the work.’ And the ability to generate speed with your swing will not be as sharp over time. One of my readers, who was a former club designer for a popular OEM, said they had similar data as well. The only difference was on the mis-hits on the toe. But that may be just the way that particular muscleback iron was designed. Muscleback blades are advantageous to golfers with long term goals towards improving their golf swing mechanics because they test the golfer’s ability to control the clubface, clubhead path and low point. Musclebacks also have a tighter dispersion on sweetspot strikes. Much of the reason for the declining muscleback iron sales is due to poor advertising and the misconceptions towards muscleback irons that is the result of poor advertising. I strongly believe that any single digit handicapper who is willing to put some effort to practice to improve their swing mechanics can hit blades reasonably well. Friends of the 3Jack blog, IFitGolf (www.ifitgolf.com) just made a video comparing the new Callaway Razr Hawk and Taylor Made R11 drivers. Here are some excerpts and my responses/thoughts to them. This swing change has occurred during what is easily the worst ball-striking stretch of Tiger's career. While true, a bit misleading. It comes off as the swing change itself caused Tiger’s worst ballstriking stretch of his career. Perhaps Riggs didn’t intend to have it come off this way. My belief is his worst ballstriking of his career happened before Haney quit and Tiger decided to change. Particularly at the 2010 Players Championship where Tiger was hitting pop ups with his then Haney swing. Butch is far, far more ‘method’ teacher than Foley is. Butch teaches the same grip, same ‘straight back posture’, same widen the stance, same ball position, same ‘wide backswing and wide downswing.’ Foley seems to want a centered pivot action, avoid having the ‘flying right elbow’, and wants the ‘shoulders to turn in a circle’ from what I have watched in his new DVD. Seriously, does this sound like a guy that teaches everybody the same? I’m not really sure what model Haney uses. I see Haney as a ‘method’ instructor because he virtually teaches every student almost the same things. Foley’s model seems like S&T without the pelvic thrust. But I don’t see it modeled after one single golfer and Riggs doesn’t mention it either, giving an indication that there really isn’t a model. So you complain about an instructor who follows a certain model because it’s ‘method teaching’ and then tell the world you would have him copy a swing that already produced major championships? Ben Crenshaw’s swing has produced major championships….should Tiger follow that instead? And is it impossible to believe that Foley may be following the components of a swing that have won Majors? Tiger is now pivoting over his front foot. This is just incorrect. His pivot is centered. If you don’t like a centered pivot, so be it. But he’s not turning over his front foot, not even close. This is in sharp contrast to his swing of the early 00's, when his weight was balanced at the top on both feet. For most amateurs this will only make your steep angle of attack worse, especially with the driver. His attack angle actually increased and got steeper with the driver in the Haney swing which moved much more off the ball in the backswing. His backswing pivot is more centered now and he’s actually found ways to shallow out his attack angle and gain distance with the driver because he’s not hitting so far down on it anymore. I feel this is irrational from a biomechanical perspective. Width of what at the top? Tiger has lost his "go-to" shot. At the height of his powers, when Woods needed to hit a fairway and get his round back on track, he always had the stinger. While it remains to be seen if Tiger has brought the shot back into his arsenal, the rest of the Tour hopes it continues to gather dust. Amateurs should always work on a go-to shot they can count on when the pressure's on. Like Tiger, if you force the swing that isn't working, expect the worst. While the stinger is a nice shot to have, don’t blame Foley for that as that stinger was long gone before Foley ever entered the picture. And I believe losing his driver accuracy (which he had under Harmon) is far bigger than losing his stinger and if I were competing against Tiger, I would rather see him lose his driver than his stinger. Furthermore, Tiger has one of the worst carry efficiency’s with the driver in the game (total carry distance / clubhead speed = carry efficiency) which means he hits the ball extremely low. In fact, Tiger in 2009 (last time he qualified statistically) finished 10th on the Tour in swing speed and was only 1 mph off from finishing in the top 5 in swing speed. To me, Tiger is still a good overall iron player who is great with his wedges and hitting shots around the greens. His putting has dropped off (another one of his problems), but his driver is still a major issue. His problems up to the Foley swing change was that his driver would take him out of play for his approach shot to the green too often. Thus it would negate a strength of his (good iron play). Or what it would do…as shown in the 2009 PGA Championship…was he would be forced to hit shorter clubs off the tee to keep the ball in play, which he could, but then he would be hitting longer irons into his approaches. Right now he seems more accurate with his driver, although I wouldn’t mistake him for Calvin Peete anytime soon. But, his driving distance is more or less ‘pretty good’ by PGA Tour standards instead of ‘scary long’ or ‘stupid long’ as he called Dustin Johnson, a guy who only generates about 1.5 mph more clubhead speed than he does (Dustin launches it completely better). Truth is, Tiger probably should’ve never switched away from Butch Harmon in the first place. His ballstriking statistics were borderline insane during then. But that ship has sailed and he’s sought instruction from a very good instructor. I find Riggs’ arguments to be inaccurate and illogical. Friend of the blog, John Graham (www.johngrahamgolf.com) and his demo of the new FlightScope X2 product at the PGA Merchandise Show. The previous FlightScope products had claimed to be just as accurate as Trackman. However, their numbers for clubhead data...particularly the attack angle, did not quite represent this. In particular, FlightScope had issues with showing a positive attack angle number on shot hit with an iron, even if they clearly took a divot. However, as this video shows, the X2 does not have that problem. We'll be waiting to get a side-by-side from a reputable person like John, but this is exciting news as FlightScope X2 costs about 1/3rd the price of Trackman. I'll try to keep you updated on this. Here's an update swing video filmed today. I said I would film it when I thought it was pretty close. I think from the Face On view it is 'close to being close.' The DTL view still has things to work on, so I didn't post it up here. Was thinking about this the other day...what path will the future of golf instruction go into? 1. Trackman and Trackman like devices will be the norm. It seems like the logical step to me. At the 2011 PGA Merchandise show there was an abundance of these type of launch monitors that not only measure the ball, but measure (or calculate) the club dimensions thru impact. Trackman will likely be the ‘top dog’ in the launch monitor industry with FlightScope right on its tail. Hopefully when we get some people like John Graham (www.johngrahamgolf.com) doing side by side comparisons of Trackman vs. the new FlightScope product we’ll see how accurate it is. But the ‘mini-Trackman’ devices were in full force at the PGA Show, much like the Pocket Pro. I remember getting a lesson with a PGA professional back in 1995 who used a video camera and drew plane lines on the camera. Back then, that was considered RADICAL and many eschewed the idea of using video at all, regardless if you were using line drawing. I had people saying ‘looking at your swing on video will only screw up your game.’ By 2000, everybody and their mother was using video and drawing lines. So my guess is that Trackman, which has been eschewed by many in the golf instruction community, will eventually become all of the rage by 2015. The main reason for this is today’s Casio line of cameras are not much more expensive than a decent camcorder, plus you can use the Casio for regular picture taking as well. And the technology for Casio keeps getting better and better. My Casio EX-FH20 cost me $240 which included everything (tax and shipping as well) and I will probably purchase another one of the newer models in the next year or 18 months. 3. D-Plane will be readily accepted and teachers will act like they always knew about it, when they didn’t. I actually didn’t think this would happen until last month when Dr. Gary Wiren (the main dude that directs the PGA with regards to teaching) was supposedly at the PGA Teaching Summit with the Trackman guys saying how great D-Plane was. Then to top it off, Wiren supposedly (I wasn’t there) claimed that his ball flight laws he outlined in the PGA Manuals were not wrong. But you get the idea here, it’s going to be accepted and put into teaching and 9 out of 10 instructors will act like that’s how they always teached the ball flight laws. Still though, I’ve seen plenty of instructors memorize the correct laws of ball flight, but putting them into practice is a different story. AimPoint Golf is expanding it’s instruction around the nation and now internationally. I don’t think it will be something that is at every instructional facility or known by every instructor, but it will likely become very popular throughout the US and something that every section will have somebody who has heard of it or has learned it. The problem they face is probably the golfer’s unwillingness to go against their instincts and most golf instruction revolves around the swing while putting is an afterthought. Since AimPoint Golf and Edel Golf have formed a partnership, I expect that more instructors and more putter companies will focus harder on proper aim. However, learning touch/speed will still fall way behind. I think for the next 5-10 years more instruction will favor a Stack and Tilt style swing. I think S&T sorta had a ‘hiccup’ as far as popularity goes as golfers seemed to be willing to try it when the first Golf Digest article came out and then it sunk in popularity a bit and now it seems to be making a rise again, particularly with the noticeable similarities of S&T and what Tiger Woods has done with his golf swing. But, golf instruction is a lot like fashion, a trend takes over and then it goes away only to come back years later. My guess is that the S&T popularity will subside eventually and then the trend will be more like a Jimmy Ballard swing with a big move off the ball and then a big move back to the ball. Throw that in with some D-Plane knowledge and more instructors having Trackman and some getting into the 6* 3D machines. Sadly I believe that TGM will start to fade away. Not because it’s invalid or won’t help golfers, but there’s been a lot of former AI’s that I’ve talked with that are very unhappy with the company’s direction and other instructors who would typically become an AI, but don’t like what they see either. The rumor now going around is that they do not give the GSED designation out anymore. If true, it reminds me of going to get a job evaluation at your work and them telling you that on a scale of 1 to 5 ‘nobody is allowed to receive a 5.’ Well, what are we trying to achieve then…sub-excellence? I don’t hate the PGA by any means, but I often think they do a poor job by its members. Years ago a friend of mine finally got the Head Pro job at a club and was fired for what was a ridiculous reason. I can’t even say he ‘made an offense’ because he didn’t. But where was the PGA to help mediate this matter? Where they usually are…nowhere. And my friend faced the choice of ‘being sent down to the minors’ going back as an Assistant and seeing his pay cut by 2/3rds or finding a new job. He eventually decided to go back to school and get his law degree and passed the bar. But too many pros don’t have those options. More and more golf clubs do not care if you are a member of the PGA and very few instruction facilities care at all. I think more and more pros seem to realize this and the costs associated with being a PGA Member and have deemed it a waste of time and money. Here's a video from S&T instructor, Paul Gorman, going over his thoughts on posture and turning the shoulders in a circle (aka turning the shoulders 90* with relation to the spine). Like I mentioned in my PGA Merchandise Show journal, I purchased an Edel putter and should be receiving it hopfully later this February or early March. Here's a promotional video for Edel putters going over the process of their fitting as well. One of the things that has intrigued me and bothered me at the same time was the Slate.com articles on 'MoneyGolf.' Here's an excerpt about how the stat that matters the most on the PGA Tour is the long game. If you've been reading Moneygolf this week, you're all too aware of the importance of the long game. If you aggregate all shots taken from more than 100 yards from the green, the pros gain 16 shots per round on mid-handicap golfers. They gain 24 shots on the true duffers—those of us (cough) who have trouble breaking 100. Even the scratch-golfing club ace surrenders 9 strokes to the pros in the long game. So why is putting important? Well, from talking to Edel, Mark Sweeney and reading stuff from Geoff Mangum I've come up with some theories. 1. I think the putting skill between amateurs typically has a large discrepancy. I think a scratch golfer probably tends to putt much, much better than just a 5 handicapper. And probably worlds better than your average 10 handicapper who probably putts much worse than the 5 handicapper. So being able to improve your putting if you're an amateur will likely directly correlate to making a sizeable improvement to your handicap. 2. The discrepancy in putting between pros is not all that great on average. I think a lot of this has to do with not only the skill level being pretty similar, but outside forces like the caddies understanding the greens and the cups, there usually isn't a surprise there. 3. The typical PGA Tour player has to putt well to win a tournament, but not necessarily lights out. If a PGA Tour player strikes the ball mediocre, their chances of winning are slim because if you're constantly leaving yourself with 40 foot birdie putts, your chances of making birdies and not 3-putting are very slim. 4. The main crux of putting for the PGA Tour player is that the guys considered to be the best putters are more or less still streaky putters. Ballstriking and ballstriking placement plays a big part. 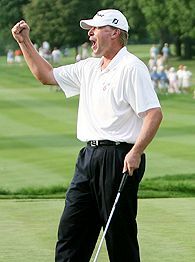 In 2009, Steve Stricker surprised people in the MoneyGolf statistic called 'Putts Gained' by finishing 69th. That's actually still well above average (they measured 166 golfers). The 'Putts Gained' statistic figures out how a golfer putts against the average of the field. So it's like saying that if you gave everybody the same 100 different putts, in '09 Stricker would've had the 69th amount of putts (Luke Donald finished 1st that year). But it's not only how close you are hitting it to the cup, but where you are locating it as well. As David Orr's 'spider studies' have shown, the putt made most by golfers of all levels is the uphill right to left putt. So if somebody like Gary Woodland hits the ball a little better than normal and just happens to leave himself with uphill right to left putts that day, the typical putting stats will maybe show Woodland 'on fire' with his putting, but the reality is that his ballstriking left him with better opportunities to make putts. One thing I've learned is that some golfers not only putt better or worse on different types of grass, but also different types of green designs. Some golfers eat up flat greens, some eat up hilly greens. But *nobody* on the PGA Tour putts well everywhere. And to me, that's why putting is still important. If a Tour player can not only putt a little better, but more consistently better, even if it's just slightly, they have gained a noticeable advantage over the rest of the field which is filled with guys who are, at best, streaky putters. From what I've gathered from these teachers, the big problem with working with PGA Tour players is that even if the instructor is dead right and the Tour player is dead wrong, the Tour player reasons that their instincts are right because they solely used those instincts to achieve their previous success. For instance, if a Tour player truly believes a putt will break 8 inches left and no matter how many different ways one can scientifically prove that putt will NEVER go in if they play for 8 inches of break...the Tour player will reason that their instincts are right because that's what they used to achieve their prior wins and other successes. And it doesn't matter if we're talking about green reading, stroke mechanics, how the brain works, putter fitting, etc....if a PGA Tour player doesn't buy into something, they'll go back to their instincts and always defend those instincts. From what I gather from these teachers, this is why they often prefer working with amateurs over Tour pros because the amateur is usually more willing to do anything they say. The problem is that they don't have the skill to quite execute it all of the time. With that, I believe a Tour pro who fully trusts these facets of instruction....green reading, putter fitting, putting mechanics, and touch/speed control....they would be on the path to gain an incredible advantage over the rest of the tour and instead of being a great putter who is streaky, they'll be a great putter who can putt anywhere. Hopefully this year we'll get a bit more into the 6 degree 3D animation technology when it comes to golf instruction. Here's a video showing a golfer coming over the top on the Motion Golf technology. Here's a video of 3Jack Top 50 Instructor, Lynn Blake (www.lynnblakegolf.com) at this past week's PGA Teaching Summit.